﻿Betsi Larousse is the surreal story of a pop diva, a sculptor and a wild-eyed adventurer who spend three days in a remote mountain cabin. Sculptor Marc Carrière is on a three-day wilderness adventure that will change his life forever. Driving north to his hunting camp, he’s reluctantly seduced by pop star Betsi Larousse warbling a love ballad on the radio. Suddenly, a moose crashes through his windshield, knocking him out of his sound-wave slumber. He heads to a nearby town, where Betsi is giving a concert, and runs into an old friend, a strange explorer who’s madly in love with the singer, and who’ll try to win her heart with a truckload of roses. The three of them head off to Marc’s cabin where, secluded deep in Laurentian wilderness, they’ll spend three days swimming, grouse hunting and feasting on wild mushrooms. The sculptor and explorer will fall under Betsi’s spell. Her eyes, her voice, her body… everything about her will kindle their desires. 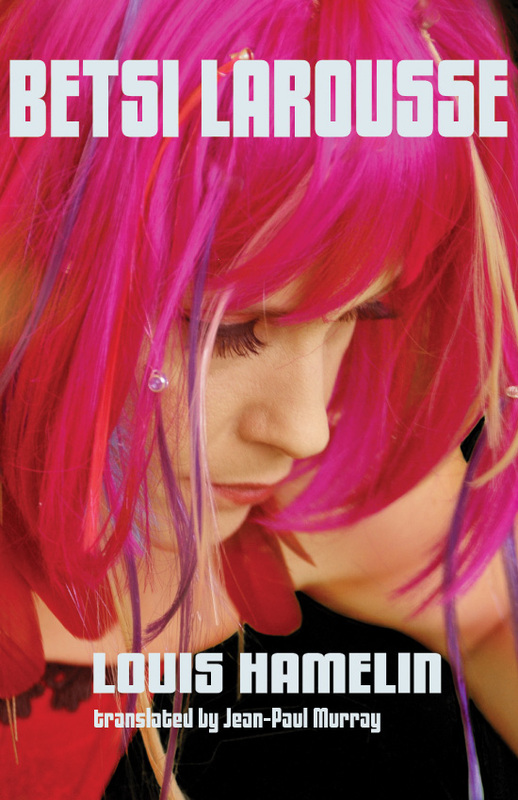 Filled with dramatic flair and brilliantly told, Betsi Larousse is a story drawn in shades of madness and humour that, according to Montreal’s La Presse, confirmed Louis Hamelin’s status as the leading Quebec writer of his generation. A novelist, journalist and academic, Louis Hamelin is the author of ten books. His novel La Rage won the 1989 Governor General’s Award for French Fiction, while Betsi Larousse was a finalist for the same prize in 1995. The former managing editor and English translating coordinator of the magazine Cité libre, Jean-Paul Murray has translated thirteen books.